SEVENTEEN COVERISTS – – – Each of this array of beauties has adorned many magazine covers, and now appear together in Columbia’s Technicolor “Cover Girl”. 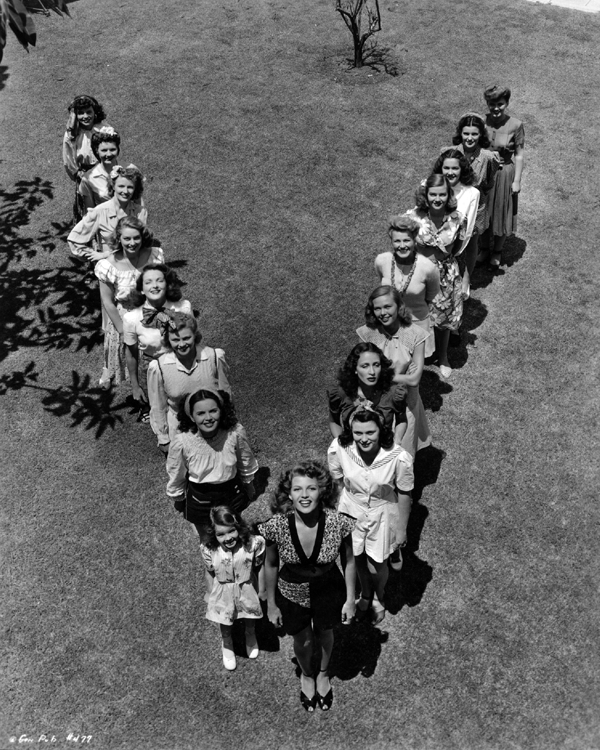 The “V” symbol, l. to r., Dusty Anderson, Karen X. Gaylord, Susann Shaw, Martha Outlaw, Dicki, Jean Colleran, Dicki, B.J. Graham, Betty Jane Hess, Peggy Lloyd, Eileen McClory, Francine Counihan, Anita Colby.